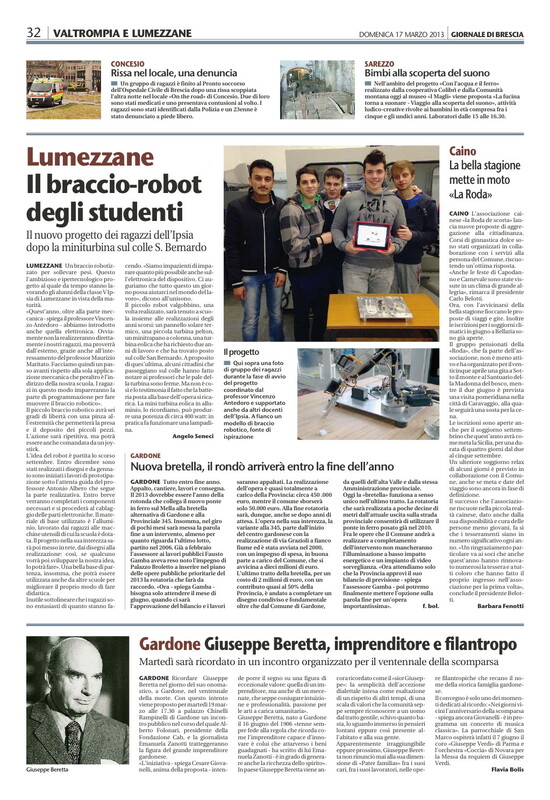 AntedoroDesigns - Pagina 4 di 12 - Tech inside! With end year, today we can say that RobotArm’s project has ended. That which has been done is done and our RobotArm is done right! From tomorrow, we think a final graduation examination. 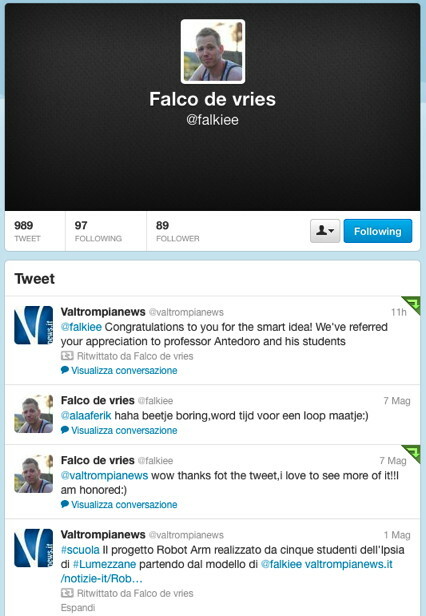 Once again we had the honor of press interest. Tomorrow, buy Giornale di Brescia. Robot Arm Lumezzane, un set su Flickr.